History will be made tonight. Tonight is election night. Saying this election night is historic may sound cliche, but the early voting numbers show us otherwise. According to a CNBC report, as of yesterday more than 35 million votes were cast under early voting. Thats a huge difference compared to the less than 20 million early votes casted in the 2014 Midterms. Apart from historic early voting numbers, these midterms elections are showing us a number of high profile races that truly show the desire for change in this country. Here in our state of New Mexico there are a few historic races that show that same desire for our state. Tonight, we could potentially elect the first indigenous woman to Congress, win or lose, her candidacy shows the progression of our state to have people of color represent us in our nation’s capital. In New Mexico’s second congressional district there is a chance to elect its first female representative. Also tonight, the district could potentially elect its first person of color as representative. New Mexicans could potentially elect its second Hispanic female Governor. 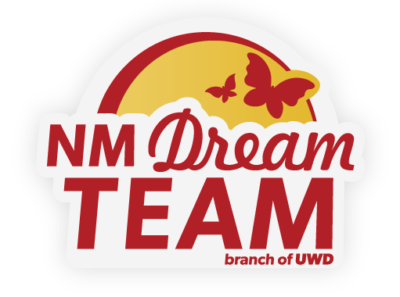 This trend of progressive candidates and people of color running for office can be seen not only in New Mexico, but all across the nation. The state of Georgia could potentially elect not only its first female governor, but if Stacey Abrams is elected, she will be the nation’s first black female governor. New York’s 14th District could potentially elect the youngest woman elected to Congress, and she is also a woman of color. Apart from being the youngest, if elected, Alexandria Ocasio Cortez would be the first woman of color to win the seat in what has predominantly been held by white male politicians. In the last two years, since the election of Donald Trump, we have almost grown accustomed to all the negativity, ignorance, and hate that his administration and their agenda had brought upon this country. However, in the back of our heads we knew a way to fight back would be through our vote. Needles to say, we’ve been waiting for tonight for a long time. If you haven’t done your part in taking back our country, then do so and go make your voice heard. If you can’t vote, then go knock on some doors, or go talk to somebody who can and make your argument heard. Tonight is the night we make history. Tonight is the night we take our country back. Tonight is the night we push back against all that hateful and racist rhetoric that has been dominating our airways for the past two years.